The 2:00 a.m. call is the first time Lexie Vidler has heard her sister’s voice in years. Annie is a drug addict, a thief, a liar—and in trouble, again. Lexie has always bailed Annie out, given her money, a place to sleep, sent her to every kind of rehab. But this time, she’s not just strung out—she’s pregnant and in premature labor. If she goes to the hospital, she’ll lose custody of her baby—maybe even go to prison. But the alternative is unthinkable. As the weeks unfold, Lexie finds herself caring for her fragile newborn niece while her carefully ordered life is collapsing around her. She’s in danger of losing her job, and her fiancé only has so much patience for Annie’s drama. In court-ordered rehab, Annie attempts to halt her downward spiral by confronting long-buried secrets from the sisters’ childhoods, ghosts that Lexie doesn’t want to face. But will the journey heal Annie, or lead her down a darker path? Both candid and compassionate, Before I Let You Go explores a hotly divisive topic and asks how far the ties of family love can be stretched before they finally break. 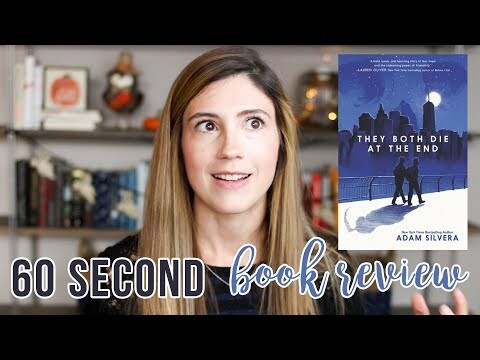 Reading "Before I Let You Go" was at times tender and emotional, and in other moments, pretty frustrating. My ability to relate to the characters in this novel went through *huge* swings as I read, as did my enjoyment of the book. The book starts off with Annie's late night call to Lexie, which is motivated by symptoms of preeclapsmia, a syndrome I had with my first pregnancy. Something about that experience, and really child birth in general, makes me feel so many emotions for other women who have experienced the same. I remember feeling Annie's panic and frustration, as she simultaneously feels immense concern for her infant and her own health ( while also fighting that same panic because nothing gets your blood pressure up like worrying about the health of your unborn child.) It's terrifying. And it's also fairly common. So I appreciated seeing it accurately depicted in "Before I Let You Go". In the following chapters, I felt for Lexie as she visits a struggling newborn in the NICU, and the upheaval her life went through when that newborn baby came home with her. I think the author, Kelly Rimmer, did an excellent job exploring the intense and mixed emotions of that whole experience - well done! At other times, I really struggled reading "Before I Let You Go". I just wasn't sure I connected with the heart of the novel, or even what that might be. Besides rooting for the infant, Daisy, I didn't really know whose side or camp I fell into in their world. Several times during the book, Lexie states that she can not imagine her sister, Annie, being able to get her life together enough to pass the court's expectations. And from what we have seen of Annie, this makes sense. As a reader, I rooted for Annie to recover enough to be a good mother to Daisy, but I also agreed with those around her that significant changes were necessary. I also understood the anger that Lexie felt about her choice to do drugs while pregnant, and the compassion she felt towards her sister equally, as well. Life is a mess, y'all, and we're all just doing our best with what we are dealt. 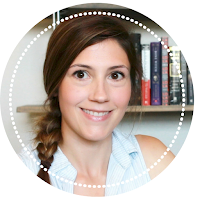 It was confusing to me, though, that at one point in the book, Lexie spent hours reviewing the law to find a loophole that would keep her sister and the baby together. And then that attitude continued in the novel, as Lexie tried to find a way to keep her sister from going to rehab or jail. And as I was reading, I kept stopping to ask myself, why- Why would you want your sister, who you know is addicted to drugs and lives in an unsuitable home for a child, to have her baby - and how would that loophole you're hoping to find help anyone? It just didn't make sense and frustrated my sympathy for both Annie and Lexie. Building empathy and understanding in the context of this book's material is so important. I wanted to see more of a connection drawn between Annie's addiction, and the problematic complications that come from that - her right to a fair shot at parenting while also acknowledging the inherent risks. There was a significant conversation late in the novel between Lexie and a social worker, that shed so much light for me on drug addiction and pregnancy in a much more nuanced way, and I greatly appreciated it. However, I think it would've been much more helpful and useful to readers at the beginning of the book, and throughout it as well. I applaud "Before I Let You Go" for addressing this difficult and relevant topic, and for making Annie's character so fully formed. The author, Kelly Rimmer, does an excellent job showing how Annie's difficulties in life arose, and how complicated and interwoven they are with her drug use. And ultimately, why that tangled web resulted in a drug addiction that felt impossible to shake. But as well formed as Annie's character felt, there were other character's in the novel that were exceptionally flat - such as Sam, Lexie's fiance - a literal perfect human being. I found myself repeatedly frustrated reading Lexie's concerns over Sam "reacting" to something, such as the idea of their caring for Annie's child permanently - her worries fell flat for me, because through out the novel Sam is nearly perfect and a constant source of strength and love for Lexie. Not only did his character feel unreal, but Lexie's concerns about his behavior felt unnatural as well. I do think the novel could've been improved by the use of an additional perspective, someone on the outside of the family, but inside the story- such as a social worker or the psychiatrist at the rehabilitation facility. While Lexie is understandably biased towards her sister, at times that bias was so illogical that i had trouble continuing with the story. 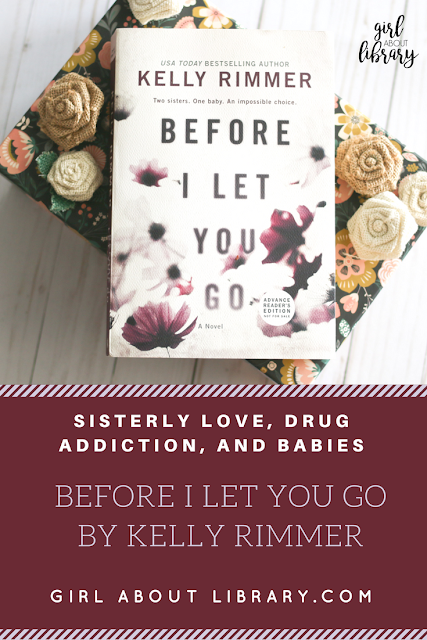 Have you read "Before I Let You Do" by Kelly Rimmer? Let me know what you thought of it below! Many thanks to Harlequin Books, Little Bird Publicity, and the author, Kelly Rimmer, for providing me with a copy of this book in exchange for an honest review.